Banking on the understanding our personnel have received over the years, we are engrossed in the business of offering Water Treatment Plant AMC Service to our clients. Credited and valued due to their reasonable rates, these services are widely praised amongst our clients. 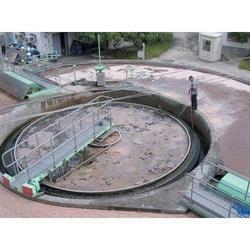 Our organization is rendering Water Treatment Plant Repairing Services. This service is completed at low prices. This service is handled by professionals who have affluent industry practice and skill. Additionally, this service is widely admired in the market for their timely completion. Water treatment filtration project for design, construction commissioning, testing, operation & maintenance of 1260 klh out put water treatment plant & 2520 kl rcc cwr at village Devania Teh. Shergarh distt. Jodhpur. We, Aquaion Technology Inc is offer Annual Maintenance Contract for Industrial RO Plant, Industrial Softener, DM & Filtration Plant. Since our establishment, we are affianced to offer Water Treatment Plants AMC Service to our respected clients. Our company is a master in providing Water Treatment Plant AMC Service. With vast industrial expertise and affluent knowledge of this arena, we are readily instrumental in providing world class DM Plant AMC Service. As per the detailed desires of our clients, these presented services are broadly cherished. In addition to this, these could be altered as per the varying desires of our clients.